The new Pacific Labor Scheme will allow 2,000 people from Nauru, Kiribati and Tuvalu to work in parts of Australia for up to three years. This sentiment seems to have emerged from last week’s Pacific Island Forum (PIF) in Samoa with Australia’s signaling that it will facilitate what could be its most positive contribution to the region: greater labor mobility. It was announced at the PIF that Australia would create a new Pacific Labor Scheme that will allow 2,000 people from the microstates of Nauru, Kiribati and Tuvalu to work in rural and regional parts of Australia for up to three years. While this may not initially look like too grand a gesture, it seems Australia’s strategy is one of gradually opening up its visa programs to Pacific Island countries, and this latest visa scheme could be an indication of greater openness to come. It was only in December last year that a previous pilot visa scheme allowing 250 citizens of these Pacific Island states to work in Australia started to be utilized. And while that scheme restricted work to areas of northern Australia, and to the agricultural and tourism sectors, this new visa scheme will expand the areas of Australia that allow participants to work in (although still in rural and regional areas) and lift restrictions on applicable industries. The Australian government seems to have recognized that providing labor market access is Australia’s most effective development strategy for the South Pacific region. Increased access, particularly longer stay visas and wider industry access, will not only generate significant remittances for Pacific Island states, but also allow visa holders to obtain valuable skills with which they can return their communities. In December last year the Lowy Institute — a Sydney-based foreign policy think tank — released a report detailing that were Australia to adjust its labor market access and migrations programs from Pacific Island states, this could quadruple the income of many of these states and provide a USD $20bn enhancement to the region’s economy. While Australia’s responsibilities to its low-lying Pacific neighbors needs to be taken more seriously, at present Australia’s Pacific visa schemes are designed to address its own significant shortage of rural labor. In recent years Australia has been relying on backpackers from European or East Asian countries to fill these labor shortages. However, as these people’s objectives are not necessarily work-oriented, and their visa requirements are only short-term, they provide a less reliable work force. The longer stay visas within the Pacific Labor Scheme should be able to provide a more stable workforce for Australia’s rural industries. 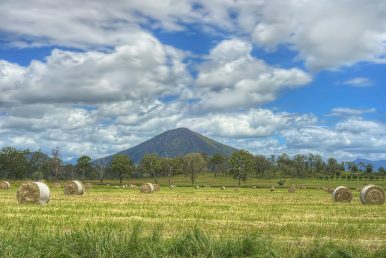 The short term nature of Australia’s current rural visas have also been a problem for employers utilizing labor from the Seasonal Workers Program (SWP) — a visa that is available to nine Pacific Island countries and Timor-Leste for a six-month period. However, in a move that might signal further changes with Australia’s gradual approach to visa adoption, the SWP was uncapped last year, allowing a greater number of people access to the program. Extending the length of the visa should be the next step. What would ultimately serve the interests of both Australia and the Pacific Island states is that Australia to provide visas to an expanded number of countries the same access as New Zealand’s Pacific Access Category does. The New Zealand’s one is available to citizens of Kiribati, Tuvalu, Tonga or Fiji, which, although restricted by ballot, provides permanent residency to those who obtain the visa, and does not have any restrictions on which sectors the visa holder is able to work in. At present Australia does not have any mechanism that would allow a permanent migration of low to semi-skilled Pacific Islanders. But hopefully with Australia’s noted gradual approach, and its recent stated commitment to further engagement in the Pacific region, this greater access will not be too far away. Polynesian Triangulation: Polynesian Leaders’ Group ExpandsHidden in Plain Sight: Australia’s Foreign WorkersThe Sovereign Recognition Game: Has Nauru Overplayed Its Hand?Australian Politicians Settle on Backpacker Tax CompromiseWhat to Make of China in the South Pacific?